All about me and my business! How I ended up in this business: My interest in preserving memories began after the loss of our daughter in 1994. I knew that our photos and movies of her life were irreplaceable. Researching how to preserve our own memories led me to beginning a business helping others with their photos. As digital photography took off in the early 2000s, we all started taking more and more photos and becoming more overwhelmed with our digital photos and aging boxes of printed photos. Seeing this need, I decided to change my business focus to actually organizing people’s photos and creating books for them. Today I manage photo collections for families and businesses in a personalized way that meets their need to share and celebrate their special moments. The one thing I enjoy most about my work: I love getting to know different people and being able to provide them with solutions for their photos through organizing and capturing their stories. One of my most rewarding projects is creating the memory book for the South Plains Honor Flight. I’ve created books for the last three years for the veterans and guardians on this memorable trip. My business philosophy is: Treat each client’s photos as if they were my own. I strive to help my clients celebrate and preserve their life or business by offering the best organization system and the best methods for their photos to be enjoyed. Each person has a unique story to share and their photo books, slideshows and home decor products should reflect their personality. What are your goals in your business? For generations, we have taken photos and home movies to be enjoyed, not stuck in a box, a computer or a phone. I want people to be able to easily enjoy their photos. Preserving family memories is important, and if people don’t have the time or desire to do it themselves, I want them to know that it’s OK to hire someone like me to do it for them, and that they can feel confident that their memories will be safe and ready to enjoy. Family stories build self-confidence and resilience in children, so I want to see photos taken in the past continue to impact future generations. What Lubbockites might not know about me? I’ve lived in the same home in Lubbock since I was 5 years old, with the exception of the first seven years of our marriage. My little brother and I both have our handprints in the concrete patio in the backyard. I went to elementary school with the sisters of the young man who would later become my husband, although we didn’t meet until we were attending Tech. I graduated from Coronado High School as did my three boys. My daughter is a sophomore there now. I love all these connections I have with Lubbock and the people who live here. The best advice I’ve ever received: Keep working to solve problems and learn new things. I received this advice from the Association of Personal Photo Organizers, of which I am a charter member. With the changes in digital photography and technology in the last 22 years, this advice has served me well in my business. The person I most admire is: My husband, Randall. He is also a business owner and the hardest working person I know. Everything he does is with integrity and service to his clients is of utmost importance to him. 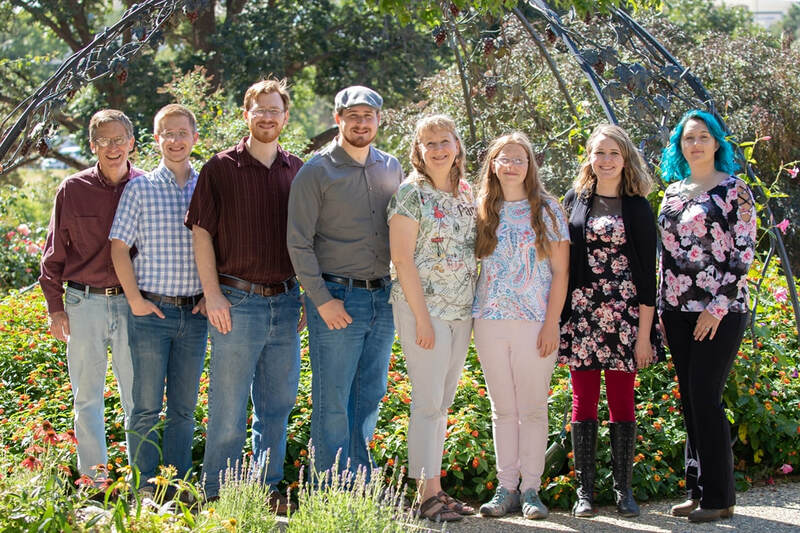 My family: I have been married for 28 years to Randall and we have four children; Matthew and his wife Deirdre; Joshua and his wife, Keri; Caleb, and Emily. If I could be anything, I’d be: I really love what I am doing in this season of life with three young adults launched and the flexibility to be available to my family while running a business. Of course, being a grandmother would be a bonus, but I know that will happen when it’s time! I wish I knew how to: Sew. All my crafting skills went by the wayside with working with photos, but that might be something I could learn to do. If I could change one thing about Lubbock, it would be: Nothing. I love the memories I have from years of living in this city. Just recently while having lunch at the 50th Street Market Street my husband and I reminisced about our first date at the Winchester Theater located there 30 years ago. When I retire, I plan to: Read through all the years of scrapbooks and memory books I have made for my family and come up with some new adventures for us to enjoy. I have been a member of The Association of Personal Photo Organizers since its beginning in 2009 and I have attended four of their conferences as well as many online and phone trainings over the years. The conferences have been in Dallas, Texas; Cleveland, Ohio; Raleigh, North Carolina; Chicago, Illinois, and Albuquerque, New Mexico. I also attended the Organize 365 conference in June 2018. I am an Association of Personal Photo Organizers Masterclass Graduate as of April 2019. I received a Certificate of Education for attending the training on being an Alzheimer's friendly business. I found the training very interesting, and it reinforced the idea of how important memories are when working with people with Alzheimer's disease.